YACHTS INTERNATIONAL IS THE WORLDWIDE LEADER IN THE SUPERYACHT CATEGORY with its sophisticated global editorial reach, superior distribution, high-profile events, online community network and exclusive partnerships with the industry’s leading boat shows. 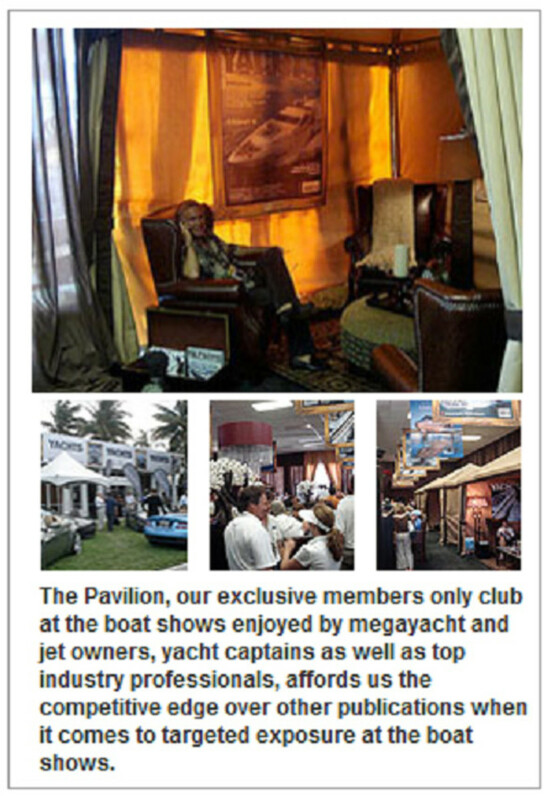 The magazine offers an insider’s view of the luxury yachting experience with a dynamic mix of quintessential print media, advanced digital platforms, and exclusive yacht owner’s clubs at boat shows. While largely aimed at the American yachtsman, the magazine’s goal is to provide every large-yacht enthusiast insight into the latest launches, design trends, personalities, history pieces, financial and regulatory issues, charter opportunities and yachting destinations.